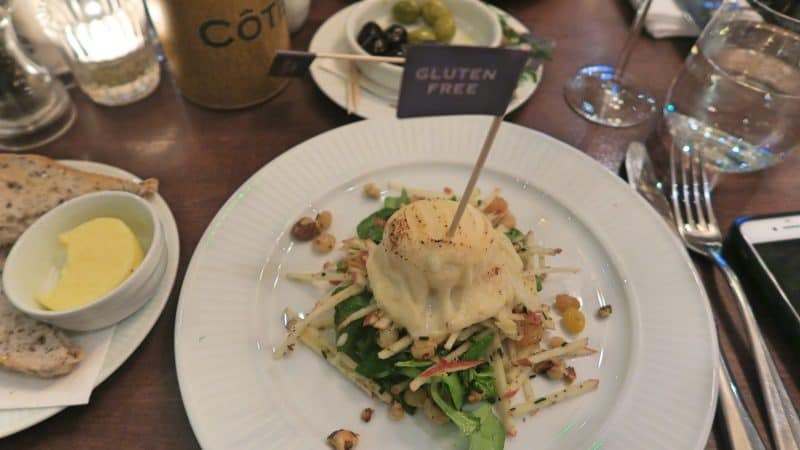 Steve and I were lucky enough to have a weekend in London recently, and as part of our trip we were kindly invited to taste-test the gluten free Côte Brasserie Christmas menu. We visited Côte Brasserie Covent Garden in Tavistock Street, which happened to be just a moment’s walk from the hotel we were staying at. I’ve only ever eaten at Côte Brasserie once before and remember being really impressed with their gluten free menu. I remember they had a lot of gluten free choice, and my favourite thing of all was the fact you got a little ‘gluten free’ flag in your meal! 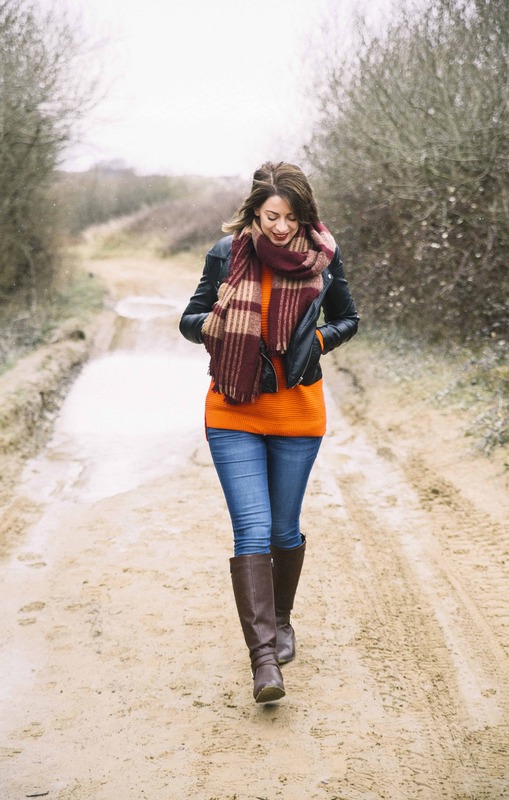 It just gives you that extra layer of reassurance – I know sometimes I’ve double checked with the server just to make sure my meal was definitely the gluten free one when eating out. 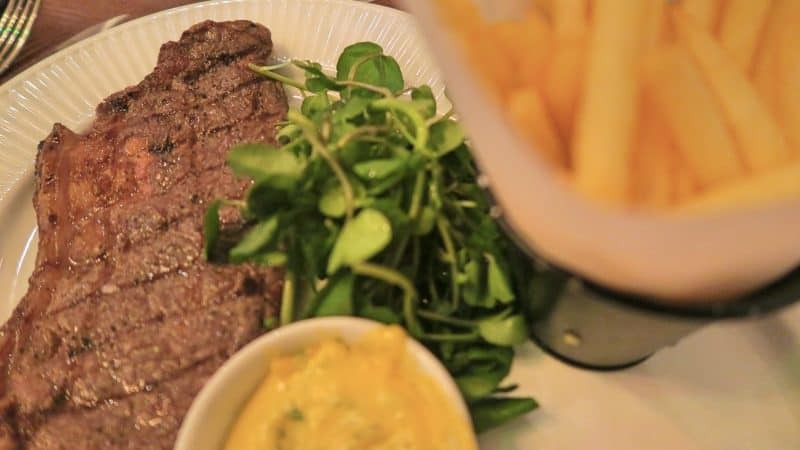 Côte Brasserie serves a range of French cuisine, and it’s accredited by Coeliac UK, which means it’s a safe haven for those with coeliac disease. It has recently launched its new Christmas menu and lots of this is gluten free. The manager even told us the stuffing and croutons they use are now all gluten free – you’d never know the difference! After being treated to a glass of fizz each and some gluten free bread with olives, we tucked into our gluten free starters. Steve is a huge prawn cocktail fan, so he opted for the salad de crevettes. 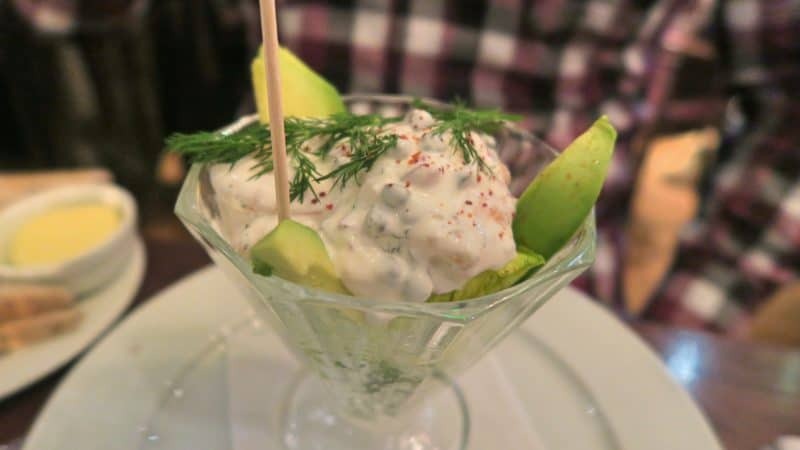 This was brimming with juicy tiger prawns, a crème fraîche dressing, and chunks of creamy avocado. I am a sucker for goat’s cheese, so I went for the baked crottin. This was the creamiest goat’s cheese sat on top of a seasonal salad with crunchy pieces of apple, walnuts and juicy, golden sultanas. It was like a taste sensation in every mouthful – I’d love to try recreated this at home! 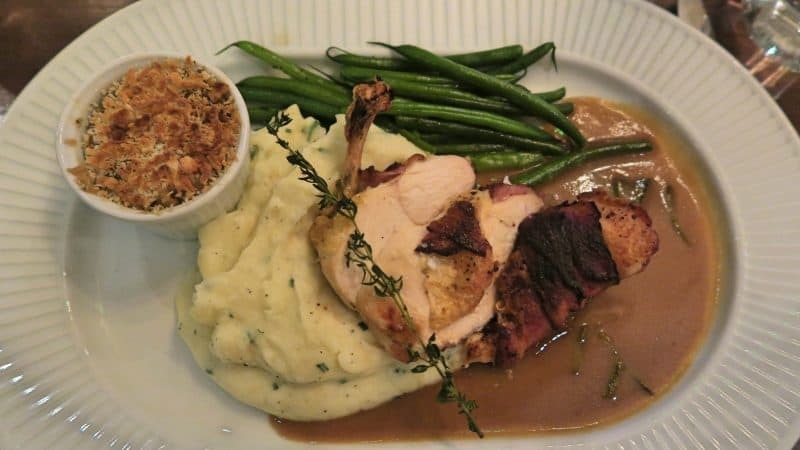 For the mains, I opted for the bacon wrapped chicken supreme, served with potato,crème fraîche and chive purée, and French beans and a sage and rosemary jus. It also came with gluten free mushroom stuffing on the side. The whole thing was rich and comforting and just the perfect balance of flavours. 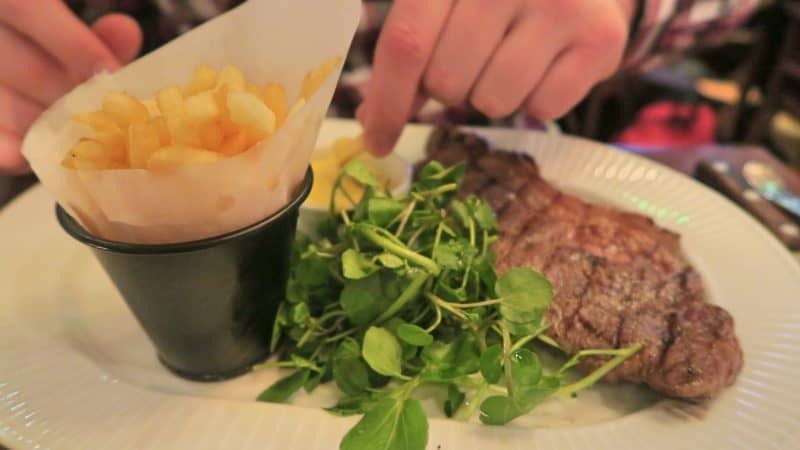 Steve opted for a 10oz sirloin steak, cooked beautifully rare, with fries, watercress, and a bèarnaise sauce. His eyes lit up when they brought out the plate! It was a very generous portion and the steak was cooked perfectly. Both dishes were absolutely delicious. 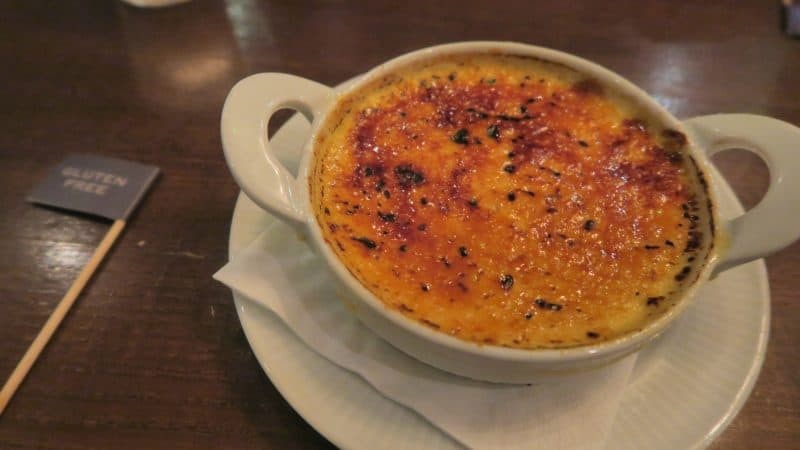 For our desserts, we both wanted the classic crème brûlée, so that was an easy decision! I had mine paired with a delicious dessert wine chosen by the waitress, while Steve opted for a coffee and a shot of Baileys. Needless to say, by the time we left the restaurant, they pretty much had to roll us out of there! I really wish there was a Côte Brasserie closer to where we live in Devon, because the food here is absolutely amazing. It’s so good to a, go into a restaurant where the gluten free food is safe and clearly marked, and b, to have so much choice. I’d definitely come here again next time I visit London as I know it’s somewhere I’ll always find something delicious to eat. 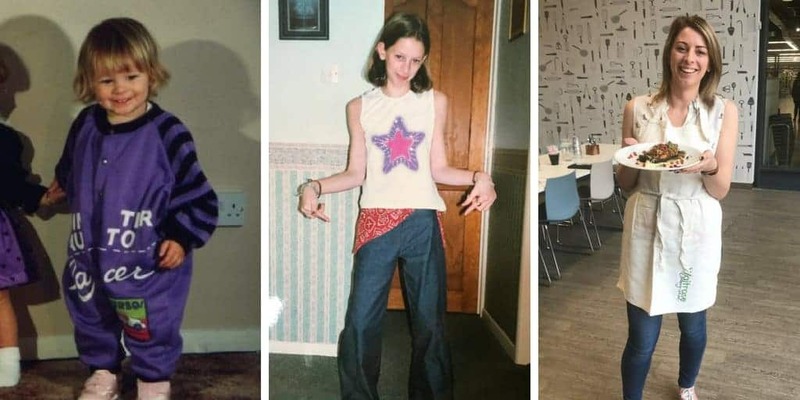 WIN a £50 voucher for Côte Brasserie! Good news – if you fancy trying out the gluten free menu at Côte Brasserie yourself, now you can! To be in with a chance to win this amazing prize, just enter using the form below. I was kindly gifted this competition prize and a meal for two to review, but all opinions are always my own. Previous Post Super easy gluten free pea and ham soup – and a chance to WIN a professional blender! That sounds an amazing meal! Sounds like they have really taken time and effort to make tasty gluten free options. Impressed by the mushroom stuffing. I don’t know any other place that does that. Would love the chance to try the Christmas menu. Cote is one of my favourite restaurants for gluten free options! The menu amazes me everytime I go how much of a selection there is! Steak frites is my fav! Yum! Got a fairly New Cote in Peterborough so I will be sure to try! The white chocolate and raspberry gluten free muffin sounds delicious!! I would love to go and try it!